Congressional candidate Andrei Cherny–Mr. No Labels, the guy who was installed as chair of the Arizona Democratic Party by bending the rules, and then quit the post to run for Congress– has found himself entangled in a Mitt Romney moment. 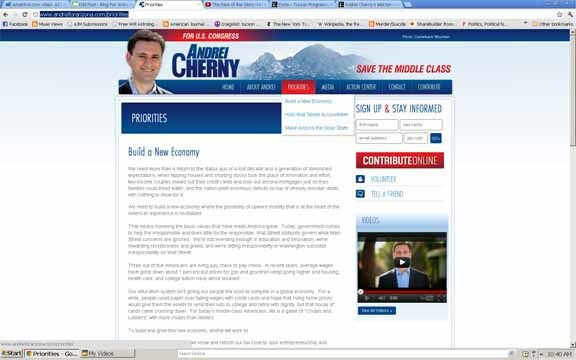 Anyway, Phoenix 12 News showed a tape of Cherny (in 2010) saying that he “opposed” Obamacare. (Check out the video here and below.) Oops. He is also accused of being soft on SB1070 back in 2010. To be fair since this statement was in the past, I went to Cherny’s campaign website to check out his current stance on healthcare reform, universal coverage, or the Affordable Care Act (AKA Obamacare). Nada. “Build a better economy,” “Hold Wall Street Accountable,” and “Make Arizona a Solar State” are his priorities. All good, but what about healthcare reform, immigration reform, ending the wars, private prisons… need I go on? None of these are listed under Cherny’s priorities. P.S. This video of the January 2011 Democratic Party Statewide Committee meeting is long, but it’s very interesting to see the different Dem politicos– Felcia Rotellini, Jeff Rogers, Bill Risner, Jeff Latas, and others you’ll recognize– speaking on the hot topic of bending the rules for Cherny. Originally posted on Blog for Arizona on June 23, 2012. 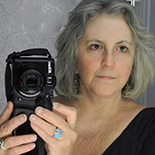 This entry was posted on June 23, 2012 by Pamela Powers Hannley in 2012 elections, Andrei Cherny, Arizona, Capitalism, Congress, corporatists, democracy, Democratic Party, Economics, healthcare, Healthcare Reform, jobs, Media, Politicians, Politics, SB 1070, Video and tagged Andrei Cherny, Arizona, Arizona Democratic Party.